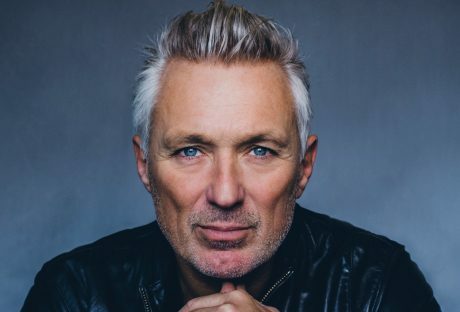 Martin Kemp is now a Celebrity DJ & also After Dinner Speaker basing his speeches on all of his experiences he is encountered from the world of acting to performing in a top 80s band. Since the age of 10 Martin has appeared in a number of TV programmes including Rumpole of the Bailey, Dixon of Dock Green, The Tomorrow People, Jackanory, EastEnders, Daddy’s Girl, Serious & Organised, The Family, Brides in the Bath & Can’t Buy Me Love. Of course Martin is best known as one of the founding band members of Spandau Ballet playing bass guitar. The group toured the world and had many top 20 hits in the 80s including True, which also made the American top 10. After his success with Spandau Ballet, Martin was asked to star alongside his brother Gary in the film The Krays which subsequently went on to become a huge success. He moved to Hollywood to make several more films including Sugar Town, Monk Dawson, Vampires, Embrace and Sailors Tatto before coming back to Britain. Over the years Martin has won a number of awards including Best Male Actor at the National TV Awards. Martin continues to appear on the small & big screen including the feature film, Back in Business. He has also directed two feature films, Stalker and Top Dog. His book, True – An Autobiography of Martin Kemp was published in 2002 and spent a number of weeks on the Sunday Times best sellers list. To enquire about or book Martin Kemp for your event contact Arena Entertainment. Either send an email to info@arenaentertainments.co.uk or speak to one of our booking agents on 0113-239-2222.